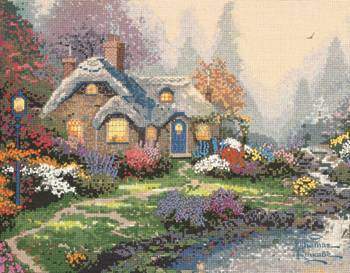 This stunning, fully-stitched Thomas Kinkade design is a full kit from Candamar. Kit includes 14ct Aida, floss, needle, chart, and instructions. Finished size is 14" x 11".